Bobby and Alli here, from Traveling Newlyweds! We just had the privilege of wrapping up a four-part hosting series of Dine Newport Beach’s “Weekly Bites” – and it was a BLAST! Every week we’d feature a different Newport Beach restaurant, giving you an inside look at four of our favorite spots to grab a bite – or a pint! Here’s a “taste” (see what we did there?) of where we went! Across from Fashion Island, Muldoon’s Irish Pub has been a local favorite for over 40 years. 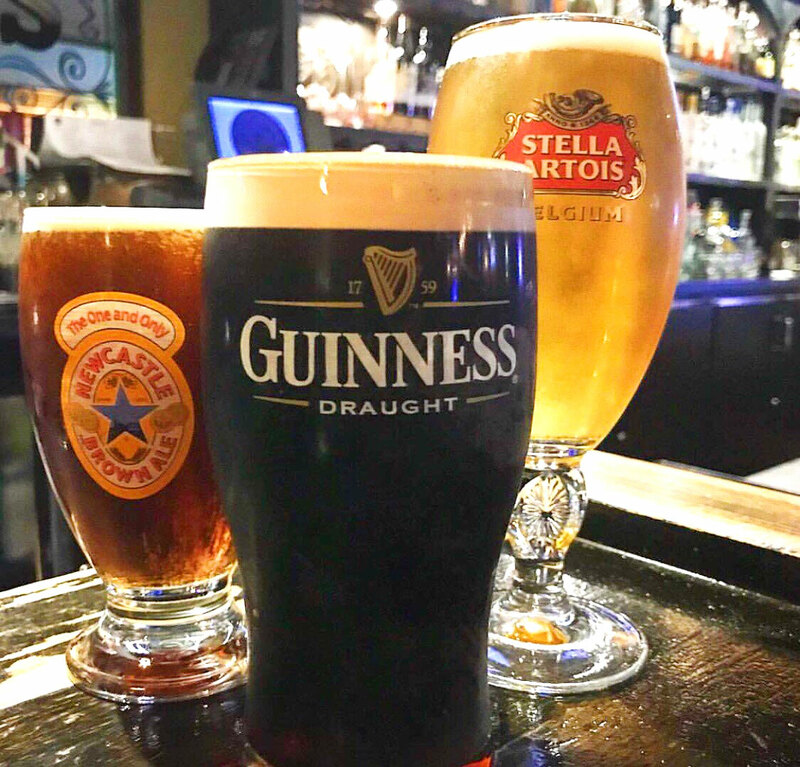 Their homey, celtic decor will have you feeling as though you’ve been transported to Dublin, Ireland… and we could go on for days about the food! Some highlights: the “Banger Bites”, the St. Paddy’s Burger, and the Shepherd’s Pie. Whether you pop by for a pint of beer and a game of darts, or a traditional Irish meal, this warm and inviting Irish pub won’t disappoint! Insider Tip: Every Thursday is “Burger & Brew Thursdays”, where you can get beer for $1 with the purchase of a burger! Love sandwiches? Love salads? Then you’ll love Jan’s Health Bar. It’s our go-to for a healthy lunch or a quick smoothie break. This time around, we had the pleasure of meeting the owner, Poppy, and learning more of her story. She can remember going to Jan’s since she was a little girl, and worked for Jan when she was older. Now she’s continuing Jan’s legacy, and she’s doing a phenomenal job! 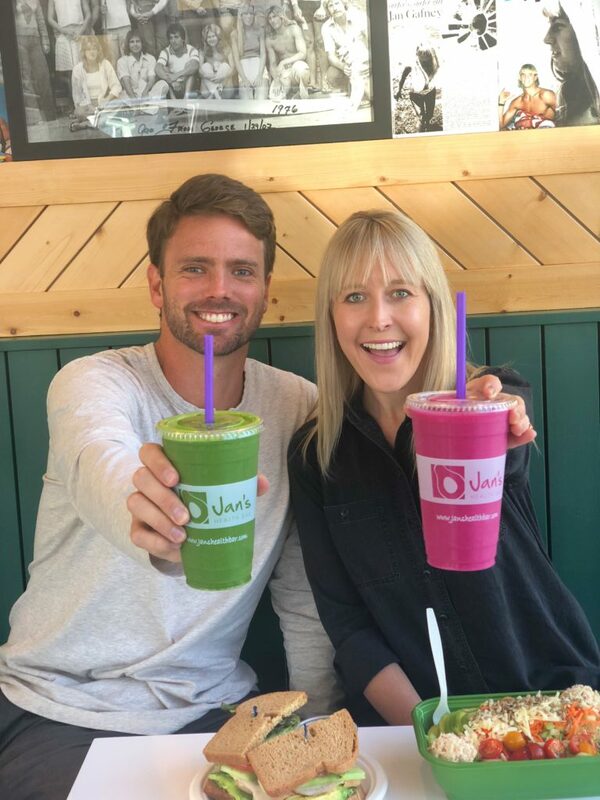 We recommend trying: Jan’s Classic Salad (with tuna), the Classic Sandwich (with turkey and avocado), and the “Kaleicious” smoothie. You’ll be hooked! Insider Tip: If you’re feeling under the weather, their “Get Well” shot is a life-changer! 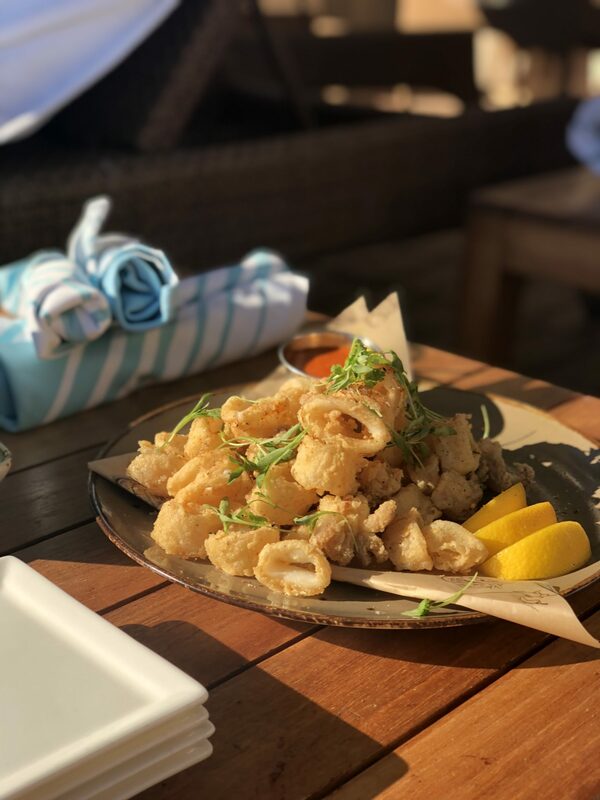 Located poolside at the picture-perfect Resort at Pelican Hill, you simply can’t beat the setting – or the fresh, seasonal faire, at The Coliseum Bar and Grill. Not too many locals are aware that if you rent a cabana, you can enjoy poolside dining service and access to the pool all day long! While you’re there, make sure you try the Flash Fried Calamari, Chicken Lettuce Wraps, and the Poke Bowl. Wash it all down with a “Green Dream”, that has an energizing combination of cucumber juice, coconut water, yuzu and lime. The perfect sunny day refreshment! Insider Tip: The 18 private cabanas are fully equipped with a sound system, HD TV, and a mini refrigerator that’s stocked with complimentary sodas, juices, and water. Staycation, anyone? 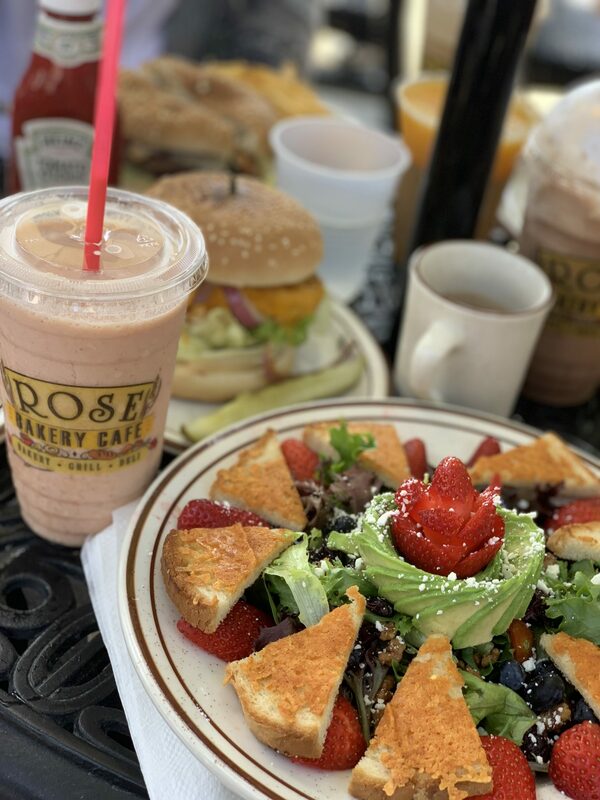 This Corona del Mar neighborhood cafe has been serving up quality breakfasts and lunch for years – and they have a cult following to prove it! They have (arguably) the best donuts and breakfast burritos in town, and we love that their patio is dog friendly. And while we are big fans of their lunch menu, we appreciate that breakfast is served all day! (Nothing like a post-surf breakfast burrito!) Some of our favorites include: the California Burrito, the Club Sandwich, the Grilled Steak Wrap, and the Iced Mocha. Insider Tip: Long line? Call in your order and take it to the beach! We’ve absolutely loved being the “Weekly Bites Hosts” these past few weeks. It blows our minds how many amazing restaurants there are in Newport Beach – we’ve truly only scratched the surface! Follow our adventures on Instagram at @traveling_newlyweds, and leave us a comment and let us know where we should try next. Here’s to eating our way through the most beautiful city on the West Coast!